Three More Blue Plaques For Swindon! Following the unveiling of a blue plaque for Swindon actress Diana Dors earlier this year, Swindon Heritage has now announced its next targets for the honour. The GWR Medical Fund HQ & Baths on Milton Road, internationally renowned writer Ralph Bates and Swindon Town FC's first true manager, Sam Allen have all been put forward. Exact locations for the plaques will be unveiled at a later date. Further details on each can be found below, along with links to the Crowdfunder pages should you wish to donate. Built in 1891 and opened the following year, Milton Road Baths soon became the hub of the Great Western Railway's Medical Fund activities. 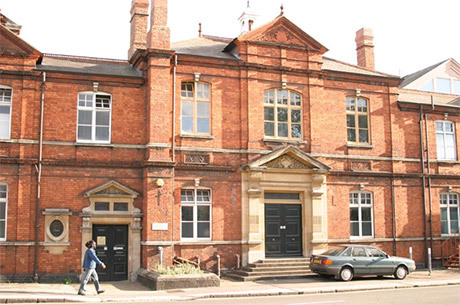 With a grand, glass covered entrance in Faringdon Road, the red brick building was designed by Swindon architect J.J. Smith at a cost of £10,000. Keeping up with the times, the Medical Fund committee installed both Turkish and Russian baths. The Turkish bath with dry air heated rooms, followed by a full body wash and massage was seen as being ‘of great value as a sanitary and cleansing agent.’ The Russian baths were a variation on this theme, a vapour bath created by the throwing of water on hot stones, followed by a massage that involved being hit with a besom made of birch twigs and leaves. In the battle against disease and premature death, anything was worth trying. Central to the building were the two swimming pools, the larger one reserved for men, could be covered and used for dances and concerts, seating around 2000 people. The smaller pool was for the use of women and children. 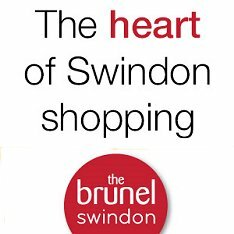 Over the past 125 years thousands of Swindon's chidren have learnt to swim in the small and large pool. Swindon Heritage are raising funds to install one our unique Blue Plaques in Swindon to celebrate our internationally renowned writer Ralph Bates. In the late 1930's Time Magazine said that the Swindon-born writer Ralph Bates was "a better writer than Ernest Hemingway". Author, mountaineer, political agitator, soldier, academic -Ralph Bates was all these things, and yet today he is hardly remembered in his home-town. Bates spent the first thirty years of his life in Swindon (he worked in the Great Western Railway factory) before moving to Spain. During the Spanish Civil War he fought in the Republican International Brigade. Later, he settled in America where he became a Professor of English Literature at New York University. Many of Bates’s novels and short stories, such as Sierra, Lean Men and The Olive Field, are set in Spain. Another book, The Fields of Paradise, contains stories written during a brief stay in Mexico. His final book, The Dolphin in the Wood, is a semi-autobiographical account of his early life in North Wiltshire. Ralph Bates died in New York in 2000, aged 101. Sam Allen (2 January 1868 – 1 January 1946) was a long serving servant of Swindon Town football club. 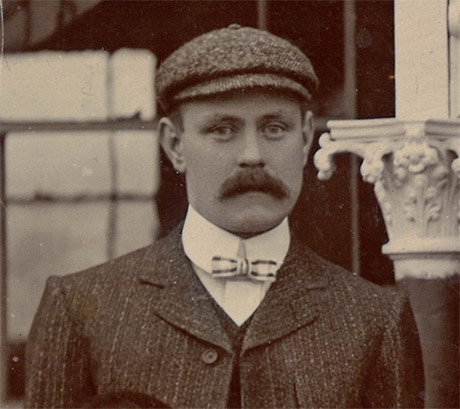 Sam Allen originally joined the club in 1895 as a member of the club's committee. Two years later, he joined the board of directors, before he took control of team affairs prior to the 1902-03 season, becoming the Town's first recognised manager. In an era where the board would have had control over team selection, Allen's job mainly involved assembling a capable team. Slowly but surely, it was a job he did well - turning a team who hadn't yet finished in the top half of the Southern League table, into championship contenders. By signing Swindon greats such as Jock Walker and Harold Fleming, Allen led the club during one of the most successful spells in their history. Between 1908 and 1914, Swindon won the Southern League title twice, finished as runners-up three times, and reached the semi-finals of the FA Cup twice - as well as winning the Dubonnet Cup. Unfortunately, the First World War interrupted Swindon's success, and by the time football resumed in 1919, Allen again had to virtually recreate the side. After a disappointing first season following the hostilities, the Town joined the Football League in 1920, becoming a founder member of Division Three (South). Over the next eight seasons, Swindon finished in the top six in every season bar one - but with only one promotion spot, they failed to get out of the division. Allen again highlighted his eye for a player with his signing of Harry Morris - the club's record goalscorer, and over this period, the Town recorded their two biggest victories - 9-1 vs Luton Town in their first league match, and 10-1 vs Farnham in the FA Cup in 1925. From 1929, Swindon fell into a gradual decline - not helped by the board's insistence on selling players to balance the books. 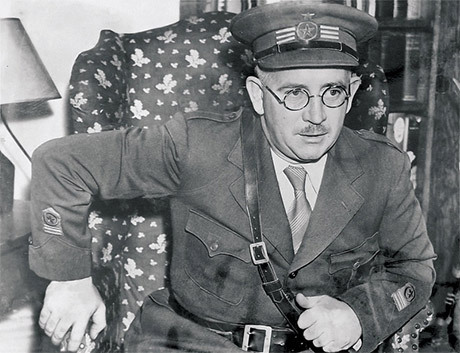 Allen was obviously not pleased with this, and, after the Town were forced to apply for re-election in 1933, he willingly relinquished his team responsibilities, reverting to a secretarial position. This moved allowed the board to appoint Ted Vizard as the club's first full-time team manager, in the modern sense of the word.